The most important thing in any business is finding the right balance between price and quality. The same idea applies when you’re choosing among the best online writing services. Still, the number of available options can be overwhelming. Do you feel like this describes you? Worry no more – here is a list of the 15 best online writing services available to you right now. They are a 100% virtual. What are online writing services? Regardless of what you are professionally or academically involved with, chances are you could use some well-written content. For example, businesses today rely greatly on digital marketing. This type of advertising takes the form of blog posts, web pages, and social media content. What businesses need to catch the viewer’s eye is a visible online presence, as well as unique and convincing copy. Unlike printed writing, writers need to perfectly adapt online content for digital media. This adjustment is necessary because people browse the Internet quickly and without paying much attention. A well-written piece of online content has the structure and features that are crucial for holding the reader’s attention. However, online writing services supply a whole array of clients other than businesses. These can include students and researchers, various industries, magazines, as well as technology-oriented ventures. In short, the rules are what you make them. Whatever you need, this list is here to ensure that the right choice is just a click away. What types of online writing services are there? The list is far from complete, as the demand for written content is ever growing. In the end, the easy part is finding a service which can supply you with the kind of content you need. The hard part, however, is making the right choice once a single Google search has showered you with options. What makes a choice perfect is that it equally meets all your demands. It is important to mind your budget while still getting the writing that meets your standards. While you may be lucky to come across brilliant writers online, not all writers are equally adept. You may find that some online writing services are relatively cheap, but that carries the risk of low-grade results. The real value of writing is in whether it produces the needed results. With that in mind, you would be smart to remember that the cheapest option isn’t necessarily the best one. Fortunately, thanks to the huge market, finding high-grade service doesn’t necessarily have to be too hard on the wallet. There are many services out there that can help you strike that perfect compromise between quality and price. These firms already have a reputation with clients, so you can base your decision on the experiences of others. We wrote this list of 15 best online writing services to help you make that perfect choice. The Fiverr website is a huge network of freelancers working in various fields. They represent one of the most versatile companies out there. There is hardly any area of work that their freelancers do not cover. This degree of freedom makes them very flexible, but equally unpredictable. Naturally, you can also find writers here. Still, Fiverr is not a company involved only in writing. They do not offer the same focused services that writing companies can provide to clients. What’s more, the sheer size of this company makes their rating systems and client filters a little confusing. With luck, you can find a great deal on their website. Still, there is a lot of inconsistency between their writers. Thus, if you would rather go for reliable quality, it’s smarter to seek out a specialized company. Overall, Fiverr does not represent our top recommended choice. Still, the huge scope of freelancers working on this website earns it a spot among best online writing services. The starting price is $5, which earned the site its name. Prices may be higher depending on the exact type of work. My Writers is a company dedicated to businesses, particularly those with authority blogs. They offer authority articles, curated content, as well as product reviews. Their writers confidently state that their content is exactly what your website needs for an increased flow. Thanks to their written pieces, many businesses have picked up and increased profits in a short period of time. What they mean by curated articles is that these pieces will have quotes from at least 2-4 authority sources. On top of that, their balanced and believable product reviews resonate well with the reader. Lastly, only their top writers work on their authority articles. My Writers may not be the ultimate writing service. Still, they surely deserve a spot among the best online writing services. Papers Helm is a company bound to catch the eye of any student. Namely, they offer help with written assignments in a great array of fields. What’s even better is that the Papers Helm team fully grasps the urgency that students often find themselves in. That is why they aim for a quick turnaround. On top of that, apart from assignments, essays, and dissertations, they offer research papers, term papers, and case studies. Additionally, Papers Helm promises fast delivery and 100% originality. Not surprisingly, this company is growing thanks to satisfied students whose academic careers they greatly helped. Although Papers Helm’s service is somewhat expensive, their high standards place them among the best online writing services for assignments. Prices start from $4 per 100 words or 11$ per page. Closer deadlines come with higher prices. Having been around for over a whole decade, Text Broker is surely one of the leading companies in its field. They offer custom written articles and blog posts. Naturally, they promise to boost their client’s business with their products. What’s more, the employees at Text Broker carefully hand-pick their writers. Their content creators go through a tough vetting process before the company allows them to join the team. Naturally, they warrant that their service is always completely plagiarism-free. Still, the downside to Text Broker is that they represent a large network of writers, rather than a devoted team. Depending on your requests, you might wait a while before they pick up your order. Text Broker charges differently depending on the writer you selected. Writers are classified within a level system. For instance, a level 2 writer costs $1.30 per 100 words. On the other hand, a level 5 writer costs $7.20 per 100 words. Other Services: Text Broker offers Content Management. Corp Writing is a company that treats all clients with the same level of dedication and skill. As the name itself says, they are a corporate writing and blog post writing firm. Apart from that, they offer customer support around the clock. This helpful feature is what outlines them as user-friendly and eager to help. What sets them apart from others is their short turnaround time. Namely, with Corp Writing, it takes only two days for blog posts to be delivered to you. The Corp Writing team uses a simple and efficient 5-step order procedure that leaves their clients satisfied. Most importantly, they always make sure that you connect with a well-informed writer and the right person for your needs. Their prices per 100 words are $5.3 for SEO blog posts, $16.3 for product reviews, and $8.3 for e-book writing. BKA Content is a website content writing service which offers high-grade content. First of all, they surely aren’t new to the field, as they have been around since 2009. Secondly, they only need a small timeframe to deliver high-grade content to clients from various industries. What the BKA Content team has on offer is a striking range of services, from blogs and SEO content to articles and web pages. In the long run, with their experience in running a successful business, you can rest assured that your work is in the right hands. BKA Content charges extra for more complex services. At Content Development Pros they offer ghostwritten content. They have been around for nine years and are still going strong. This team provides clients with SEO article writing, web content, blog posts and ebooks. Additionally, everything created by them is ghostwritten, meaning that all legal rights belong to the client. Besides, they offer a wide range of SEO marketing services. At Content Development Pros, they organize themselves in a way that makes sure every piece of writing goes through multiple reviews. This unique team structure is something that gives them an edge over the rest. Also, they offer more than just writing. Their other services include proofreading, online editing, as well as rewriting. Price Range: $4.3 – $7.90 per 100 words. All kinds of businesses trust Constant Content to handle their content demands. That is because they provide custom SEO articles to their clients. The Constant Content team treats every firm’s needs as unique. On top of that, they offer clients the option of choosing their own writers. Plagiarism is not an issue with Constant Content, as they use Copyscape to warrant originality. Apart from custom writing, the Constant Content team offers clients access to an article market. You do not, by all means, need to order an article. Instead, you can simply find what you’re looking for in their pre-written article database. This option is one of the reasons why they belong on this list of best online writing services. Other Services: Constant Content uses an Image Finder for Visual Storytelling. With Express Writers you will meet an experienced company of experts in their field. Each member of their team has to pass a careful screening process. They claim to accept only 2% of candidates into their ranks. In more detail, at Express Writers they focus on content writing, copywriting and content marketing. Besides that, they will also work on e-books, blogs, and web pages. Their team promises that their content is bound to create results for your business. Like some other companies, they offer several service packages. These include Authority Content, Expert Copy, and Blogging Packages. What’s more, the Express Writers team works with a large number of global brands and has achieved notable success. Their high success rate makes them one of the best online writing services for businesses. At Express Writers, they provide a reliable and polished service that keeps their clients satisfied. Still, their higher level work tends to be on the expensive side. Besides, they also offer work in narrow fields such as medicine and finance. Price Range: $9 – $12 per 100 words. The prices listed apply for blog posts. However, the company provides many different services with various price ranges. Other Services: They also provide SEO. 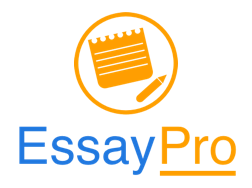 As the name itself states, EssayPro is a service which deals with delivering custom essay writing. The EssayPro team employs expert writers who are ready to work within a limited timeframe. They are relatively cheap, too. What’s more, they allow the client to freely communicate with the writer and ask questions. As any proper essay writing service, EssayPro has a guarantee against plagiarism. Also, they are ready to meet all kinds of urgent demands. Most of all, it takes them no longer than 5 minutes to offer you a price upon receiving an order. On top of that, their writers are all native speakers of English. They also hold graduate degrees and have experience in many areas. All of this makes them one of the best online writing services oriented towards students. This team is very open about their company’s client reviews. In fact, clients in doubt can easily take a look at those. On top of that, they are not a new company. EssayPro boasts over 15 years of experience in the field of custom writing. Most importantly, their service is cheap in comparison to other companies. Essentially, they offer a good trade-off for the level of quality provided. Price Range: $4.3 – $7.6 per 100 words. The price depends on the needed level of academic expertise. Other Services: EssayPro also offers rewriting and editing services. Writer Access is a company proud to have had one million orders so far. In fact, they have been on the Inc 5000 list of fastest growing companies for four years. The Writer Access team offers unique and high-grade content written by US-based native speakers of English. This company works with content marketing. Their clients include both firms and global brands. Admittedly, they are among the best online writing services a business can hire. Besides, they are a content sourcing platform. They use state-of-the-art tools to meet their clients’ demands. Price Range: $4 – $200 per 100 words. The price depends on the needed quality and writer level. They also offer monthly and yearly subscriptions on three levels. Specifically, a monthly subscription costs $39, $59 or $99 per month, depending on the client’s demands. Other Services: Writer Access uses a StyleMetrics Matcher algorithm to help clients connect with the right writer. That helps the client avoid any guesswork during this process. Other than that, they offer content analytics, keyword optimization, content distribution and content planning. 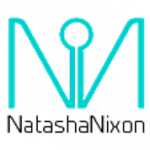 The Natasha Nixon brand represents a well-reputed company famous for its adept staff. Their team counts successful and published authors and journalists. This seasoned group of experts is one of the best online writing services when it comes to content writing. What this company offers is a peerless level of quality. However, their prices can be on the higher side. In fact, the exact price depends on the client’s demands, since they offer a two-level service. The first level includes SEO articles, which they recommend to small blogs and low-traffic users. Contrary to this, their second level offers Authority Content. This higher-level content is mainly meant for authority websites, high traffic blogs, and other demanding clients. Apart from that, their first-level services include a lighter level of research, while the second level is more in-depth. Price Range: $1.50 – $7.97 per 100 words. Natasha Nixon charges $1.50 per 100 words for SEO content and $7.97 per 100 words for Authority Content. Other Services: This company also provides free revisions, SEO, and Copyscape checks. They offer a turnaround of 3-4 business days for 5,000 words of SEO content. With Authority Content, they take three business days for 3,000 words. Their website offers free samples of the content they offer. Text Royal is a Scottish company involved with content writing and copywriting services. They are relatively cheap, stating that they produce great content at half the price of a traditional company. What’s more, Text Royal is a vast network, with over 21,000 hired writers. Their sheer size enables them to work at full speed regardless of time zones. At Text Royal, they pride themselves on covering 40 areas of experience and having a short 1-day turnaround. On top of that, they offer unique and SEO content. Thanks to their large team, they offer academic and article writing, as well as web content and blog posts. One of this company’s huge boons is that they never reject projects. No matter how large your project is, the Text Royal team is ready to handle the challenge. Because of this, they are one of the best online writing services out there. Price Range: $3 – $4.5 per 100 words. The Text Royal team offers more expensive services to clients seeking higher levels of quality. Other Services: They offer their clients a 100% originality guarantee and use Copyscape software to confirm uniqueness. At Custom Writings, they employ over 500 writers who focus on academic writing in various disciplines. They offer custom writing services from essays to complex dissertations. What’s more, their clients have the option to pay for the service in multiple installments. Clients love this useful feature, as it truly sets this company apart from the rest. The writers at Custom Writings know how to use many citation styles. Those include MLA, APA, Harvard, Chicago, and Turabian. On top of that, they proudly state that they never rely on pre-made content from essay databases. What this means is that their work is 100% unique and made especially for you. As an academic writing company, they pay great attention to accuracy and thorough research. In the end, you can say with certainty that Custom Writings produces work that meets high academic standards. Price Range: $1.7 – $3 per 100 words. The price varies depending on the needed research and time. Other Services: At Custom Writings, they offer free revisions to the client. However, this offer stands only for seven days after placing the order. They also give a full money guarantee to the client. In fact, the client keeps the right to take back the order at any point. On top of that, the client has the option to look at written samples before they confirm the order. GoSuperb is a company that has been around since 2015. Despite being relatively young, they are taking the market by storm. What sets them apart from others is their focused and dedicated team, whose members prioritize quality and in-depth research. You can say that GoSuperb’s reputation is well-deserved based on their punctuality, accuracy, and speed. GoSuperb’s website is a visually stunning, intuitive and client-friendly summary of the various services they offer. In fact, they provide clients with a much wider range of services than you could find in most other companies. Their versatility makes them equally attractive for businesses, bloggers, website makers, or virtually any other type of client. The GoSuperb team relies on an experienced selection of in-house writers who offer concise and straight-to-the-point content. They are making waves in their field thanks to top-caliber work, reliability, and a great ratio of quality and price. 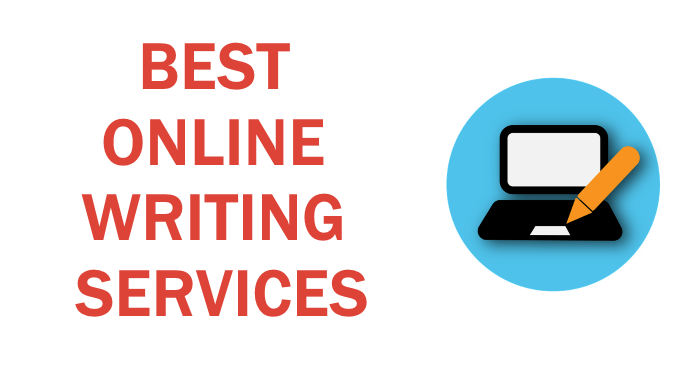 Their effort and skill earn them a well-deserved #1 spot on this list of best online writing services. Price Range: $1.25 – $3.25 per 100 words. The exact cost depends on the turnaround time, writing level and the amount of research. Other Services: GoSuperb stands out among the competition by the number of special services they have on offer. They provide reliable customer support, as well as unlimited revisions to keep the client satisfied. What’s more, they SEO optimize all their content and put it through Copyscape as a guarantee of uniqueness. Most impressively, GoSuperb offers a full money-back guarantee if the client finds any grammatical mistakes in any of their work. Their skillful attitude, low prices, and bespoke content make sure their clients are always coming back for more.